Throughout Billy Graham’s evangelical ministry, his roles as an evangelist and as “America’s pastor” have been well documented. However, the story that remains untold is the story of his leadership - both publicly and in private - as a minister and as a CEO. For more than fifty years, Graham was CEO of the Billy Graham Evangelistic Association (BGEA) and oversaw its worldwide gatherings and diverse media divisions. 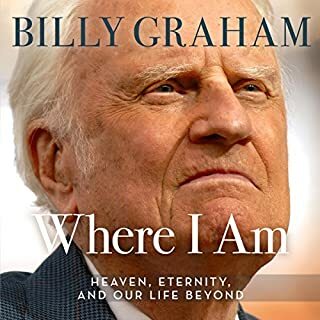 Billy Graham has touched millions with his message of faith, and now, for the first time, he tells his life story in a momentous work of insight. Hailed as the world's preacher, Dr. Graham has been taken by his calling as an evangelist to every nation, from major capitals to the most remote outposts. His crusades have spanned more than 50 years, and he has been part of history in the making, from his famed antisegregation stance to his friendship with every president since Eisenhower. Through his many years of public ministry, Dr. Graham has led by his extraordinary example of integrity. In this unforgettable memoir, he looks back at it all with down-to-earth warmth and candor, from his upbringing and early preaching to his internationally influential public ministry. Winner of Publishers Weekly Listen Up Award: Best Audio of 1997, Memoir/Biography/Autobiography. Winner of Audio Publishers Association 1998 Audie Award, Best Inspirational/Spiritual. I thoroughly enjoyed reading this book. I always have respected Billy Graham and admired his work, but now I have been provided insight into his heart and soul. Beginning with his childhood, Graham describes how God worked in his life to take him to international prominence as an evangelist. He is undoubtedly the greatest evangelist of the 20th century, and the events described in this book are nothing short of miraculous. Many of us grew up with Billy Graham, and may have simply taken his ministry for granted. Here in this volume however, we see how God was moving powerfully through a humble, single-minded Baptist preacher to shake the world for Christ. If you have a heart for evangelism, you won't want to miss this book. If you don't have a heart for evangelism, then reading this book may very well change your priorities. This title already is quickly becoming a classic. I don't want to sound critical of anything Dr. Graham has done. God has used him in a mighty way to preach the gospel all around the world and countless lives have undoubtedly been changed because of his faithfulness. The book, however seemed to be more about the crusades and the inner workings, behind the scenes stories of how they came about. I expected more personal stories and experiences of Dr. Graham and the people he encountered than what I heard from the book. Although it was not a disappointment, it was not what I expected. 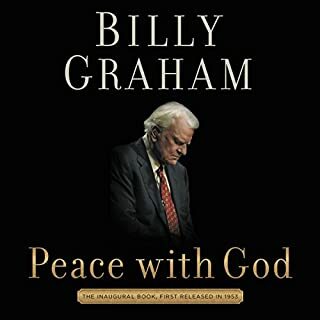 Yes, I would recommend this book because in it Billy Graham models a life of singular focus on what God called him to do, and because regardless of how many powerful figures he befriended or interacted with or the massive size of the crowds which attended his crusades, he maintained an attitude of utmost humility, giving all glory to God. I would love to be half the man Billy Graham was. Of course the central figure, Billy Graham, but what I also found interesting were his portraits of the people he befriended or interacted with, like his wife, or the numerous presidents which counted him as friend. Richard Nixon stands out as one character who I had always had a negative opinion of because of Watergate, but through Billys' portrail discovered him to be a man of integrity and conviction and deeply honored the Office of the President, who was loved by many based on the 40,000 people who attended his funeral, including Bill Clinton. I felt as if it put into perspective how I want to serve God with my life, with simplicity and humility. It also taught me that even devoutly Christian men love to think for themselves and not blindly follow their faith. Having already listened to the biographies of Albert Einstein and Benjamin Franklin by Walter Isaacson, I was expecting more detail about Bill Grahams' life than he offered, so this Autobiography seemed a bit short considering that at the time of its' publication he was 74. 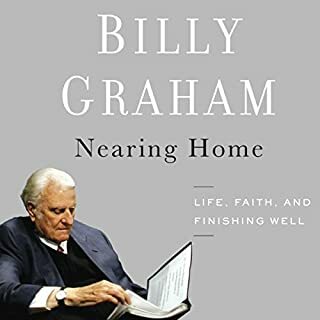 Other than that, I really appreciated how he included the pinnacle moments and tipping points of his life and ministry which helped to shape his life, and the window he provided into the life of a minister, pastor, and evangelist. I hope that someday, someone like Isaacson will write an exhaustive biography of Graham, but regardless, this book is a worthy investment providing insight into the life of a man who God used to introduce Jesus Christ to many generations and people, rich and poor, young and old, who stood up for the civil rights of blacks when it wasn't popular, and who gives us a powerful example of how it behooves one to live, in the service of humanity. Although, he says over and over that his ministry was not about the 'big names' and 'big venues' there is much mention of both. I am sure that with his ministry and his history with the millions of lives that he touched it would difficult to remember, let alone list the countless unfamiliar names and lives that he interacted with. 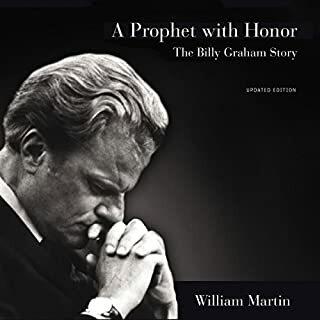 I would have liked to hear more about the personal Billy Graham as opposed to the professional Billy Graham. Still; it was not time wasted. 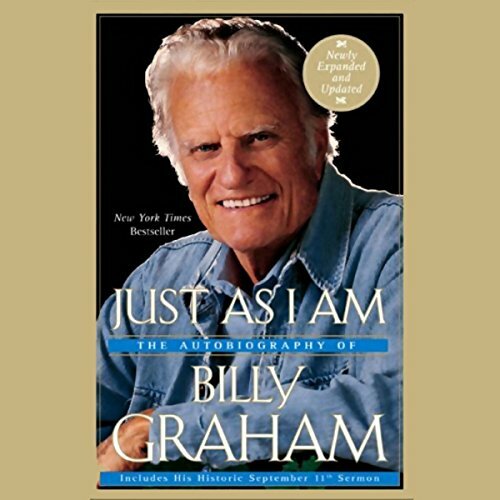 If you appreciate the work of Billy Graham, you will enjoy this biography. The only disappointment is that the audio is abridged. I feel as though there were chapters cut short and many stories were left out. It help me to see that he is human. Completely human. Just like me. Which encourages me to see that God still can use me in the way that HE see fit, even though I am human. Depend in him. My gifts and I ... we are the Car. Jesus is the drivers. The great truth I loved it. I would like to see everyone read this book. He was a great man who loved God. 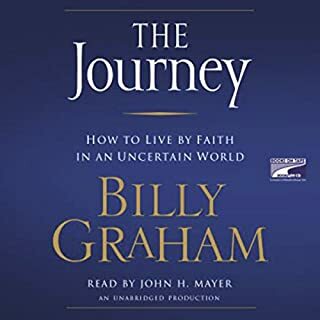 Billy Graham’s autobiography offers an honest account of a great person’s journey and it offers a path for all to follow. I have always been impressed and inspired by Billy Graham's worldwide ministry. Every encounter with The BGEA has been positive and life changing. He was consistent and faithful to his calling. I am even more impressed with his humility, kindness, generosity and grace shown to everyone he encountered. He was non-judgmental, non-divisive, and respectful to all people, Christian or not. These qualities allowed others to feel safe around him. This is a wonderful autobiography. Very easy to listen to and also entertaining in the most positive sense. I feel as if I've taken a walk down history lane. Billy Graham witnessed the great events of the 20th century and he became one of the greatest personalities of that period. His life is a testament to all of us. 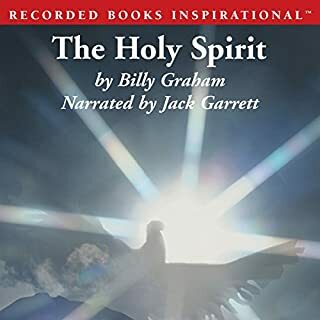 Cliff Barrows is am outstanding narrator and Billy Graham's comments are invaluable. Wonderful biography of a great man. Gives insight into his background and personal perspective of his ministry. I remain impressed by Billy Graham's humility. Really good read. A very honest and humble biography. Praise God for Billy Graham's life and ministry.